I have someone who chose 'bank transfer' once, and 'other - cash' more than once, and both participants were sent to the PayPal screen. We need to change it so that people who choose bank transfer and other are not sent to the PayPal screen, but instead, are officially confirmed. How can I do this? Hello, the form gets redirected to paypal since your PayPal form contains only one product, this product is selected by default. 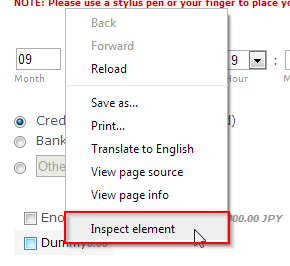 Even if the choose Bank Transfer or Other, it doesn't matter if it's hidden, it will be a selected item that will make the form redirect to PayPal. What we must do is make that item not to be selected by deafult. 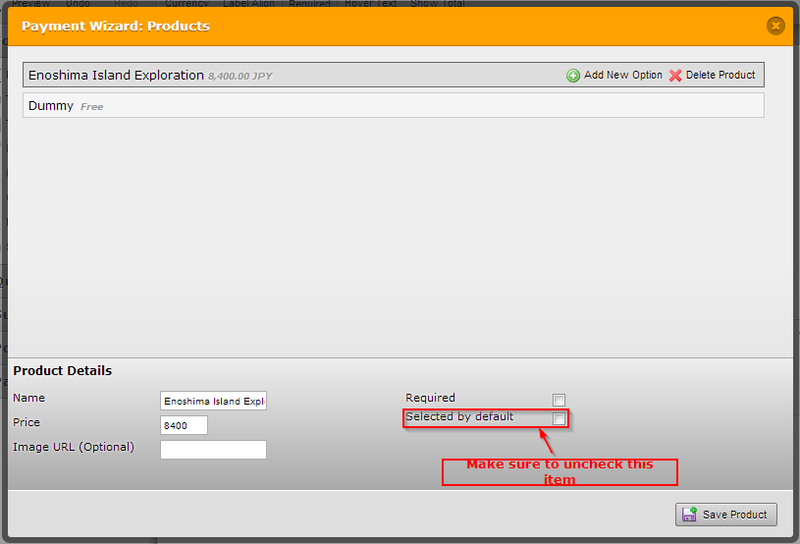 -Make sure that both items are not selected by default. -Set the PayPal Field as a Required field. By accesing the source code (through the "Inspect Element" built in to Chrome and FireFox. 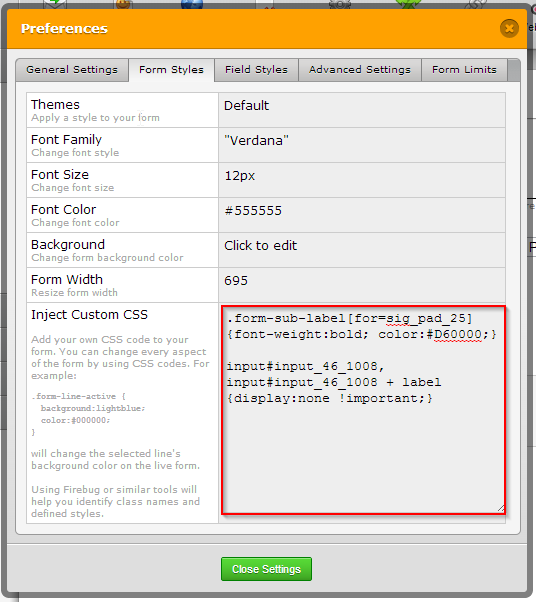 We will get the Element IDs that we need to hide using the Inject CSS Code Method. As you can see below: The Dummy Item has ID "input_46_1008" set to it. W e will use this ID to remove it from the list. Note: This ID will could be different on your form, in which case you would need to change the input_XX_XXXX that is shown on your code. If you need further assistance, do let us know. Thank You. Kindly try it out, and let us know how this works for you. Thank you.